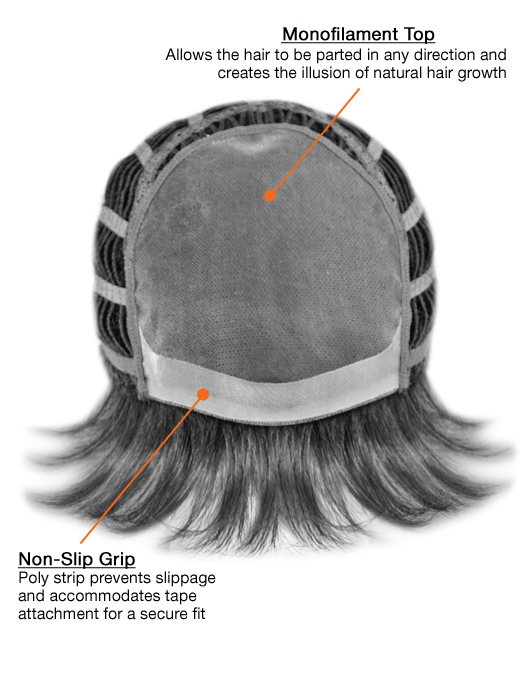 Length from Crown: 1 3/4-10 1/2"
Length from Nape: 9 1/2"
Length from Side of Head 9 1/2"
A stunning long and layered wig with lots of texture and feathered flicks which create natural movement and bounce. 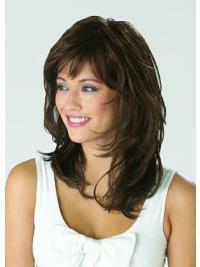 The wig is a comfortable, eye-catching look which creates a stunning silhouette. Fast and easy...I' m searching for another purchase from your company this weekend!! I received the wig this morning & I just wanted to let you know how pleased I am with it, its perfect! Also thankyou for your prompt delivery. I only ordered it last week so I was very surprised (& thrilled) to receive it so quickly. I am going to the hairdressers to get the fringe trimmed as it is a bit long & it gets in my eyes. The colour 18 is lovely. SOft brown, bits of blonde. Thrilled! Thanks once more. I have been wearing wigs for about 2yrs now due to hair thinning have tried a few other styles but this is far the best one i always get complements on my hair asking me where did i get it done they dont belive me when i say its a wig i always go for 26G. This is the only one for me now and it moves so naturaly as well five stars from me.!!!!! This is the second one of this wig that I've bought. I've worn it most days now for 4 months and it's lasting well. Great value for money and hard to tell from the real thing.